Smart Remote supports adding and controlling devices via Wi-Fi and infrared (IR). This article explains how to add Wi-Fi devices to Smart Remote. For information on adding IR devices, please go here. Once detected, your Wi-Fi devices will appear in the app. Select the one you want to add and press “Continue”. If the device you wanted to add doesn’t appear the first time, you may need to do another Wi-Fi autodiscovery scan. To complete setup, follow the instructions in the app. Smart Remote adding and controlling devices via infrared (IR) and Wi-Fi. This article explains how to add infrared devices to Smart Remote. For information on adding Wi-Fi devices, please go here. Option 1: “Enter model number.” This is the best way to add your IR devices and will give the fullest range of controls for this device. 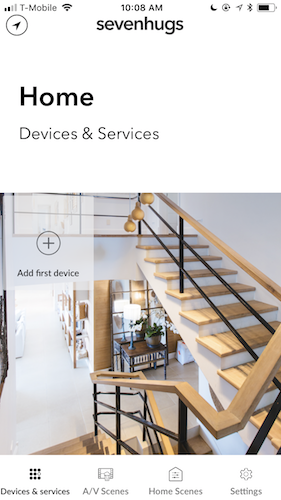 Once you’ve entered the model number of your device and selected it, your device will appear on Smart Remote. Option 2: “Continue on Smart Remote.” This method allows you to use Smart Remote to test different IR codes with your device to confirm which device you own and which IR code set will let you control it. Follow the instructions on Smart Remote to test IR codes with your device.